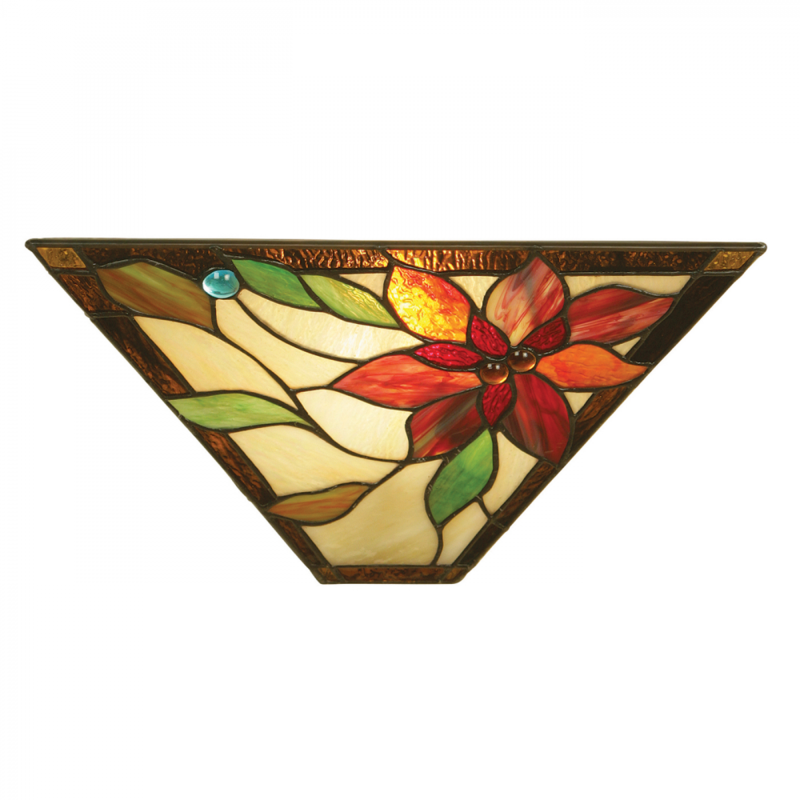 The Happy Homewares wall light is a striking Tiffany design with a bold floral design using vibrant red art glass. Completed by a dark bronze effect fitting, dimmable and compatible with LED lamps. 17cm projection x 17.5cm height x 35cm width.